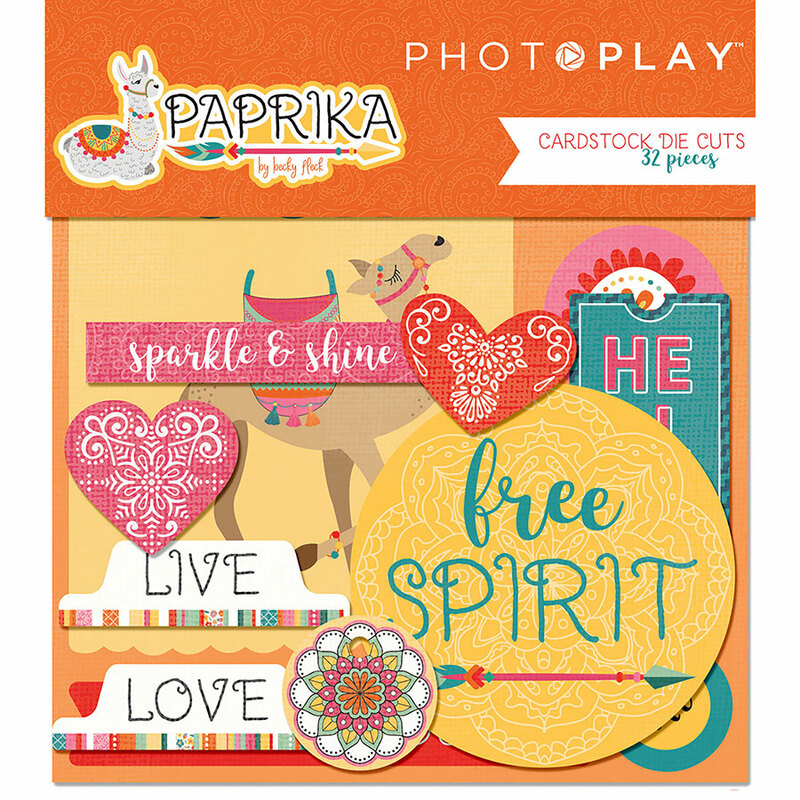 This package contains an assortment of Cardstock Die Cut Shapes. Look for coordinating Designer Papers, Sticker Elements and Stamp Set. Part of the Paprika Collection by PhotoPlay Paper.